Souls, lost in ecstasy, are dancing. Art As A Healing Force Web will immerse you in the field of art and healing. By art, we always mean storytelling, poetry, music, dance, visual arts, painting, sculpture, everything that is usually thought of as creativity. We believe that art and healing are joining together to become one. As art and healing merge, the field of art will be changed and the field of medicine will be changed. 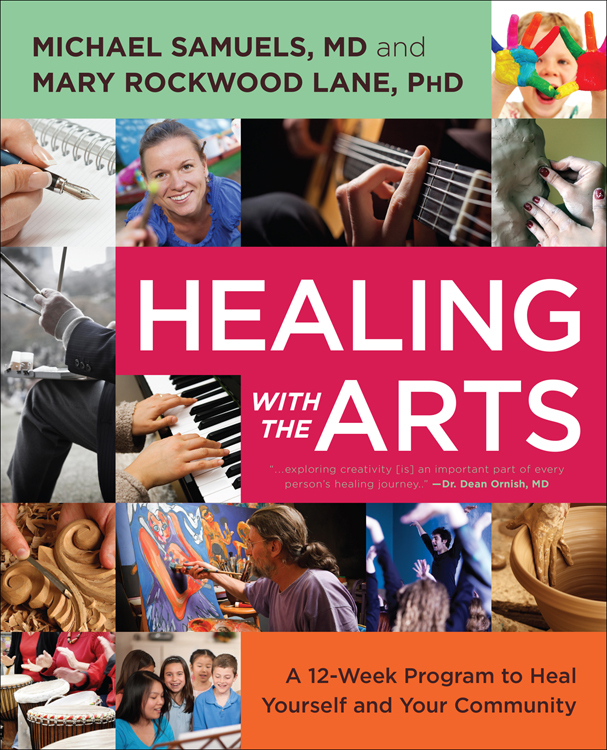 For many of us, healing art is a spiritual path, a transformational process, a way of being. This site concentrates on making art to heal, on the power of the creative process of art as a healing force. We believe that making art frees the body's healing mechanisms to heal. We believe it unites body, mind, and spirit. In art and healing, no interpretation or therapy is necessary. The creative process is the healer. Here, art is transformational in itself. The field of art therapy and the field of expressive arts also uses art in healing, but tend to concentrate more on therapy or method and involve training and /or licensing although there is much overlap in ways of working.. They are wonderful fields and are usually different from art and healing as discussed on this site. The artists we talk about are usually not trained art therapists or expressive art therapists, they are just people who use the creative process of art to heal themselves, others, and the earth. On this site we have information about how art heals, the history of the art and healing, and how each person can heal themselves with art, music, and dance We also will share the experiences of healers working in medical programs using art, and of artists making healing art to heal themselves, others, and the earth. We will give you links to other art and healing sites, earth sites, and ritual healing sites on the web. We also have links to art therapy and expressive art sites for readers who are interested art therapy. We see ourselves as a center of art and healing energy on the web, to help heal you, others, and the earth. I believe that art and healing will heal yourself, other, community and the earth. It is something you do- an act to heal with spirit. Mary Rockwood Lane coures, Creativity and Spirituality in Healthcare, University of Florida, Gainesville. OUR BOOK CREATIVE HEALING, HOW ANYONE CAN USE ART, WRITING, DANCE, AND MUSIC TO HEAL BODY AND SOUL, Order it from Amazon.com!! EMAIL us about our book, questions, comments, letters. For information about where to find an art therapy training program, please EMAIL an art therapy site from our links.